Every dairying community throughout the world cherishes one, or more, cultured dairy products. They make up some of our most popular foods: yogurt, sour cream, cheese, cultured butter. As milk and cream culture, good-for-your-gut beneficial bacteria eat up the lactose, or milk sugar, in the dairy. As a result, cultured dairy foods acquire their characteristic tartness. Cultured dairy is particularly rich in beneficial bacteria. There’s many varieties of cultured dairy food. Yogurt is a popular cultured dairy product, rich in gut-building beneficial bacteria. As those beneficial bacteria eat up the carbohydrates in milk, turning it into yogurt, they also enrich that milk with B vitamins – as a result yogurt and other cultured dairy is lower on the glycemic index, high in vitamins, rich in beneficial bacteria and food enzymes and it also contains all the micronutrients, vitamins and minerals found in milk. You can make yogurt easily at home as it only requires a starter culture mixed with milk. Depending on the style of yogurt you plan to make, you can either culture that yogurt at room temperature to make a Scandinavian-style yogurt, or at a warmer temperature to make yogurt like that you find in your grocery store’s dairy case. Buy starters for homemade yogurt here. Buy a yogurt maker here. A look at Scandinavian-style Yogurts. A fantastic cookbook on yogurt. Check out recipes using yogurt here. 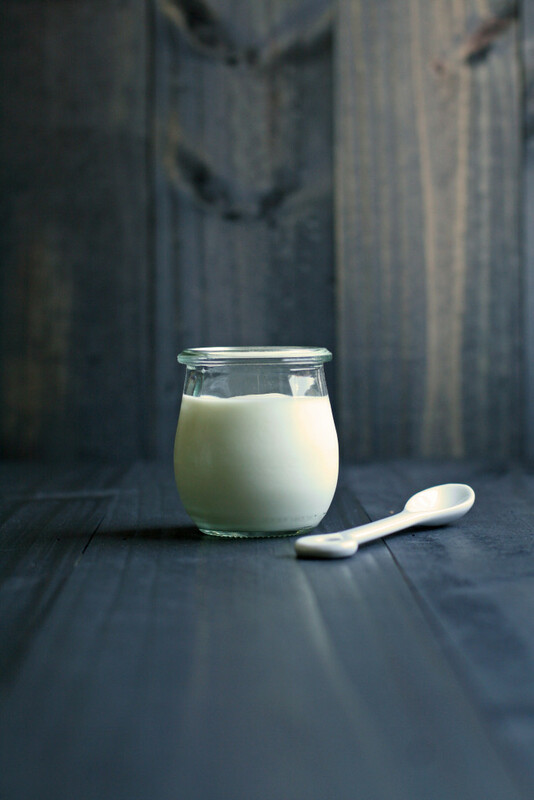 Similar to yogurt in flavor, only stronger, milk kefir is a cultured dairy product with a thin texture and tart flavor. Kefir is particularly rich in B vitamins, most notably folate. It is also rich in beneficial bacteria that help to support gut health and immunity. Milk kefir comes from the Caucasus, a mountainous region where the European continent meets Asia. It’s here that milk kefir earned its reputation as an elixir of long life, and a medicinal tonic. Just like yogurt, you can make milk kefir at home easily using milk kefir grains – small gelatinous curds that resemble cottage cheese. They’re a combination of beneficial microorganisms – bacteria and yeasts – that help to transform milk into kefir. Buy dehydrated milk kefir grains here. Buy fresh milk kefir grains here. A fantastic resource for everything you need to know about kefir. Tips and techniques for making milk kefir. 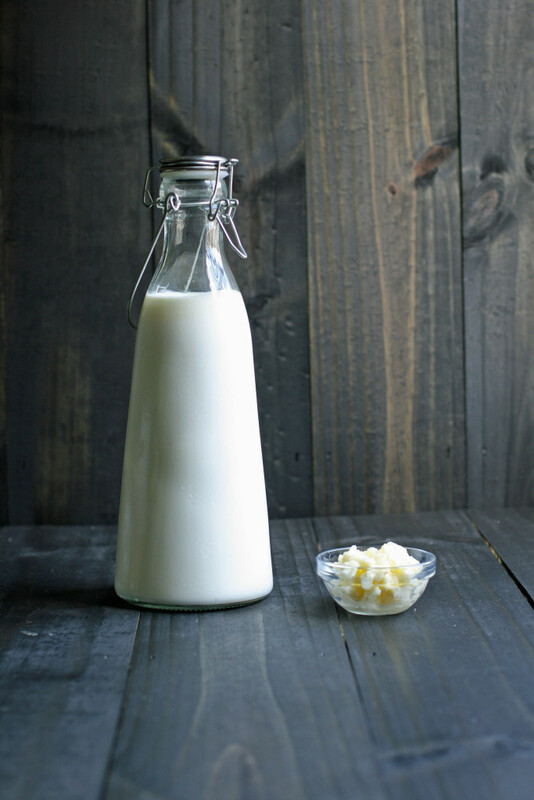 Make your own milk kefir. Check out recipes using milk kefir here. Both sour cream and creme fraiche add a lovely silkiness and delightful, creamy tartness to recipes. I love to stir sour cream into soups, or topping fresh berries with creme fraiche. 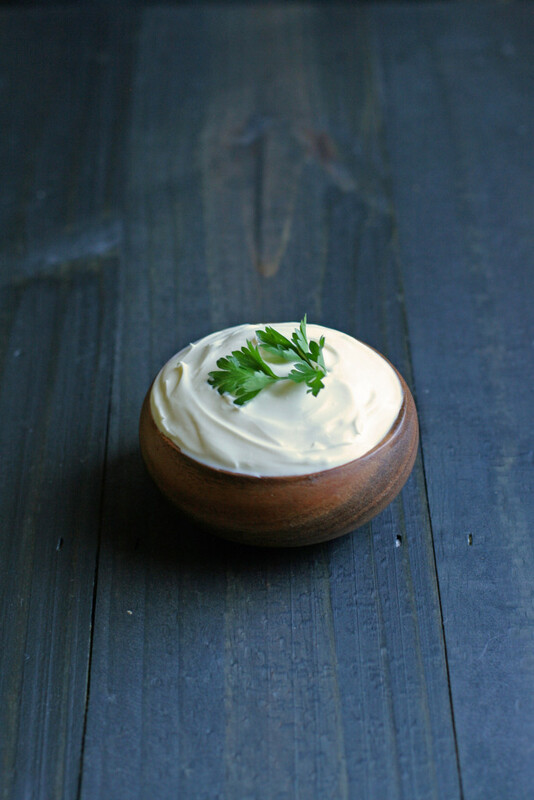 Sour cream tends to be thinner than creme fraiche, and creme fraiche tends to be less sour than sour cream. They’re both delightful. Just like other cultured dairy foods, both sour cream and creme fraiche are rich in beneficial bacteria, and when made from the cream of grass-fed cows, it’s also rich in healthy fats, fat-soluble vitamins and beta carotene. Buy a starter to make creme fraiche here. Here’s how to make creme fraiche. Here’s how to make sour cream. Recipes calling for sour cream. Recipes calling for creme fraiche.